Ankara University's Kreiken Observatory is organizing a public event where space enthusiasts will be able to observe Mars and the Moon. 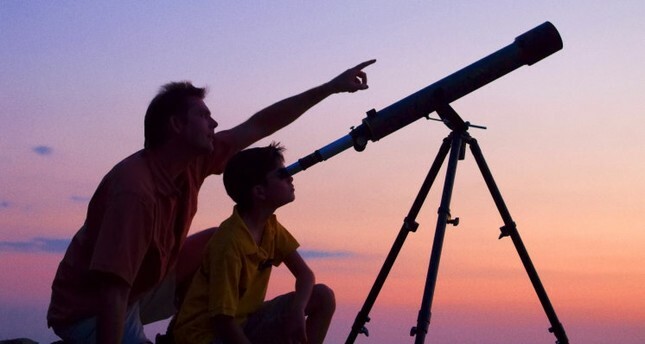 Taking place today, the event will bring all space lovers around a telescope. The participants will learn interesting information about the story of the universe, the solar system, planets, eclipses, meteor showers and the stars. Speaking to Anadolu Agency (AA), the manager of the observatory, associate professor Mesut Yılmaz said the participants of the event will be able to use the telescopes to observe the Mars and the Moon and attend to the space classes given by the scientists at the observatory. "Mars is the second-smallest and the fourth-closest planet to the sun in the solar system and it has been a subject to many scientific researches during humanity's search for life in space. With the recent discoveries by NASA on Mars, everybody is wondering whether there is life on Mars or not," said Yılmaz. The event will kick off right after the sunset and continue until midnight.